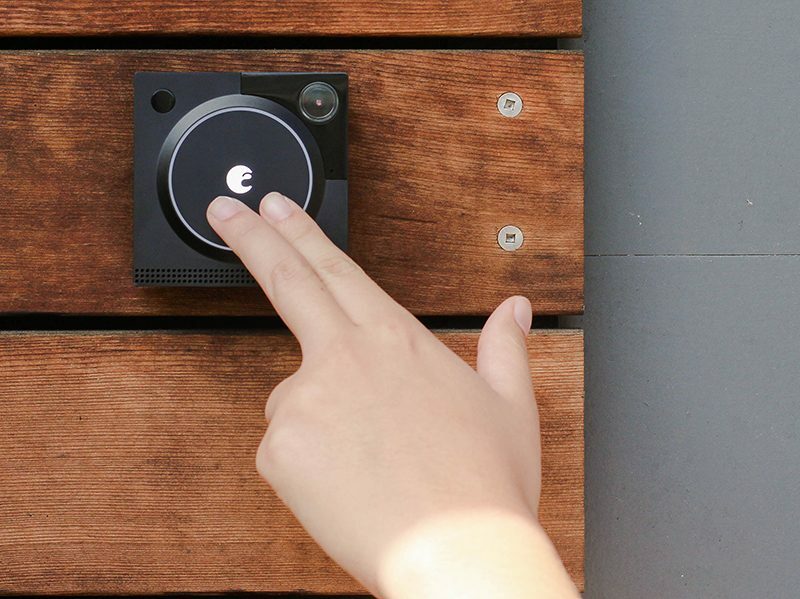 August Home today announced that its new August Doorbell Cam Pro is now shipping following nearly three weeks of pre-orders. Like other video doorbells, the Doorbell Cam Pro is equipped with a full-color HD camera and microphone for two-way audio and one-way video. Using the companion August Home app (HomeKit isn't supported), homeowners can see and speak with visitors at their door in real time, even when they're not home. A built-in motion detector triggers instant alerts via push notifications when something's happening at the door. A new feature called HindSight adds a few extra seconds to the beginning of a video recording so homeowners can see what's happening just before motion is detected, rather than someone walking away. The updated camera features a built-in floodlight that enables it to work during the night. By comparison, its competitor Ring uses infrared in the dark. An optional August Video Recording plan, available for $4.99 per month or $49.99 for a one-year plan, lets users replay, download, and share recordings of activity at their door through the August Home app. The video doorbell replaces a home's existing wired doorbell, and has a USB dock for easy setup ahead of installation. August Doorbell Cam Pro is available immediately for $199 USD in silver and dark gray from August.com and select other retailers, including Amazon and Best Buy. By comparison, the Ring Video Doorbell starts at $179. I have the previous, non-Pro, version of this. I’m sort of “grudgingly satisfied”, I guess. They advertise that you can answer your door remotely and talk to whoever’s at the door, but in practice by the time I get the notification, launch the app, and the app connects to the camera, they’re gone. Mebbe that’s my laggy, 3-year-old iPhone 6 Plus, but I don’t think so. I will say that even on mine the camera is good and captures good images, especially of the guy who nonchalantly looked over my UPS package before he walked off with it (the nice video, and still images from it, led to nothing, naturally). When I bought it they claimed “future HomeKit compatibility”, and when I emailed them said they were hardware capable from the beginning and it would just be a future software update, once they had the manpower to get it done. That was a year ago; never happened. I think the floodlight is the circle in the upper left corner of the device, not the illuminated logo in the center. Mine has the illuminated logo. Is the floodlight a visible-light LED? That shines in your visitors’ faces? Hmm. Woulda thought they’d use IR. My last comment on the thing is that it is not obvious to all visitors that it’s a doorbell (switch) at all. Mine is the dark brown version, and people don’t seem to understand it’s a button they can press. It doesn’t say “press me” in any way. I made this comment to August too; guess they didn’t believe me. It looks like this is the only video doorbell on the market that doesn't also use an IR camera. Ahem. SkyBell HD. Full color at night. Oh, and monthly fees with SkyBell HD = $0.